We were staying at a backpackers in town, and they were kind enough to allow us to leave some of our bags in their reception while we rode to the glacier (it was uphill through the valley to get there). Although Vera decided not to come; she wanted to book in for a spa and massage at the hot pools in town. The reception was only small though, so out of sympathy, I took my front panniers with me and also my empty trailer (I only left the bags that I carried on the trailer in the reception). In contrast to previous days, it was cloudy and overcast that morning, and we were a little concerned that the glacier itself would be hidden in the clouds. As we were walking up the valley, any time we got a clear view I would take some photos for fear that it would be the last clear view that we would get. Apparently, Kea (which are a large native bird) have a particular fondness of rubber items, such as bicycle tires. They also have a large and powerful beak with which they can do quite a bit of damage, hence the construction of this shed, designed to keep them out. Having said that, they are also endangered, and it was kind of disappointing not to get to see one. The valley floor was almost devoid of vegetation; just rocks and dust. 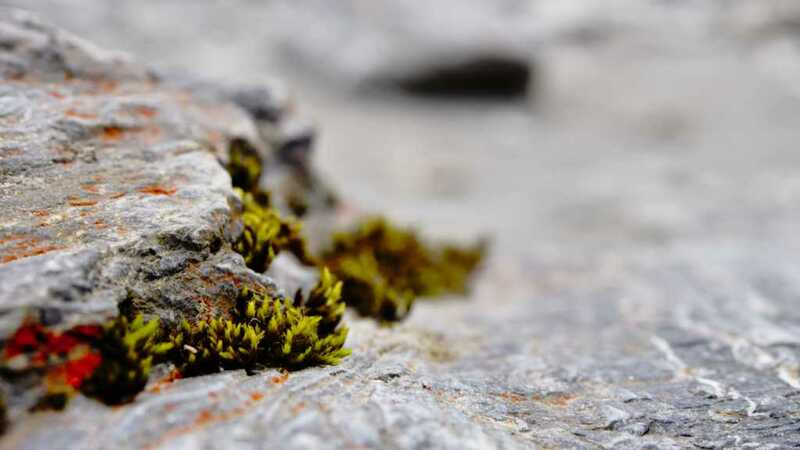 I have heard that mosses and lichen were some of the first plants to colonise Europe after glaciers retreated at the end of the ice age. These stones had been piled up by others, and it seemed striking. A nice focal point for a photo. Not so long ago, this entire valley was filled with ice, up to where the green vegetation ends on the slopes. Walking back, as the rain was just starting. 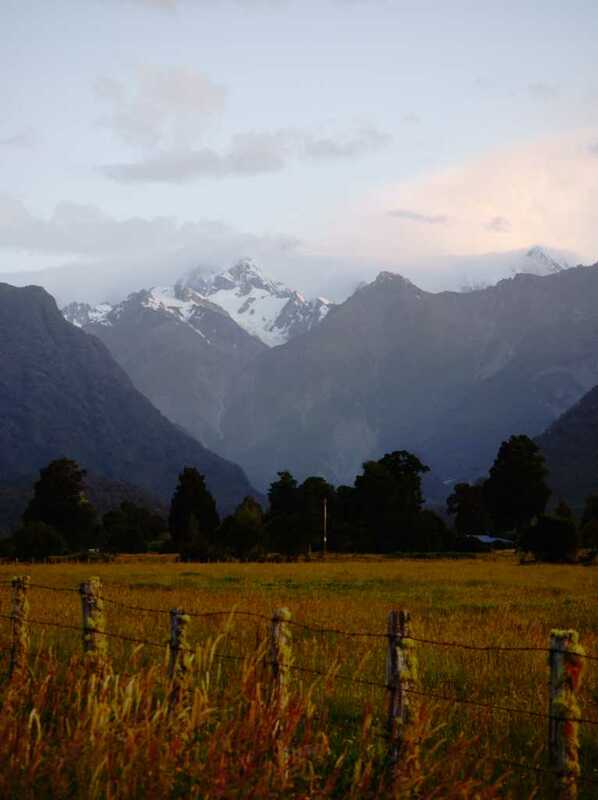 Looking towards the Southern Alps from Lake Matheson, near the start of the walking track around the lake. 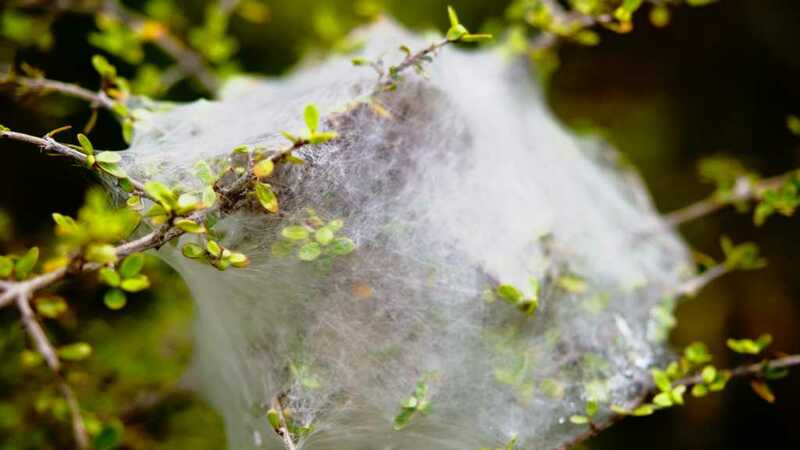 We saw lots of these dense silk constructions along the way, and later on we found out that it is made by a type of native spider. When we peered at it closely, we could see that the interior was crawling with little baby spiders. 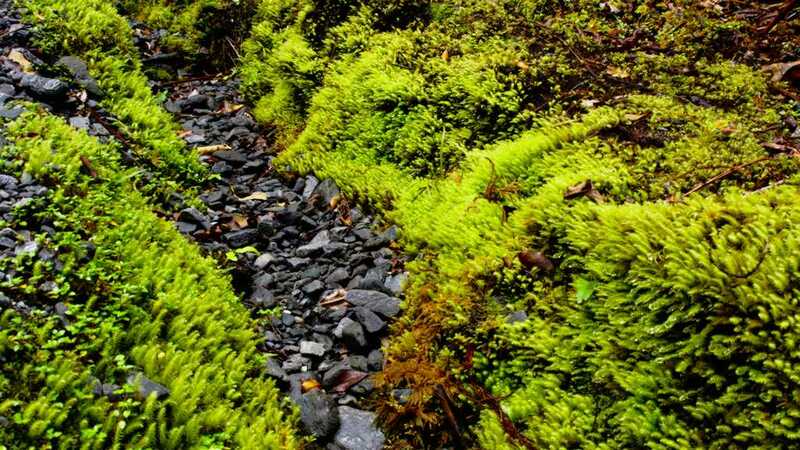 The amount of moss growing on the ground was incredible; like grass in Australia. Probably because of the huge rainfall in the area: 16 meters on the snowfields that feed the glaciers, and “only” 6 meters on the lowlands. In contrast, the wettest part of Australia receives a whopping 2.5 meters per year. It isn’t quite the famous view of snow capped Aoraki (Mt Cook) and Mt Tasman, but when the wind eased up for a few minutes we did get lovely reflections here. There was a cafe near the start of the walking track, which was a convenient place to have lunch. 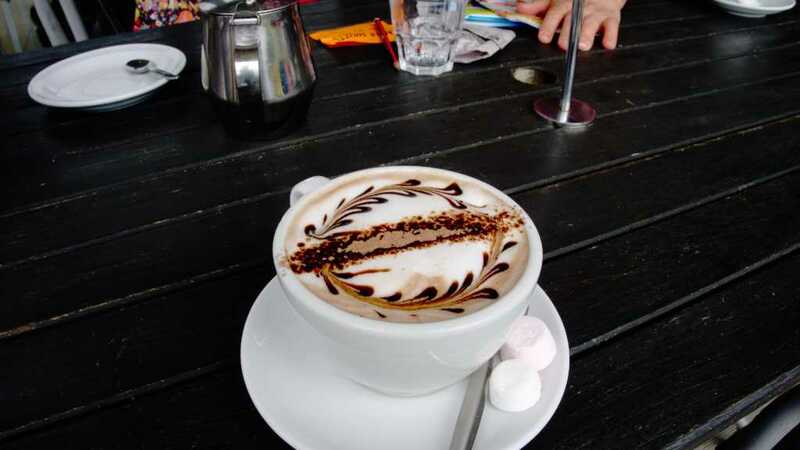 They decorated my hot chocolate very nicely (and it was a good hot chocolate). 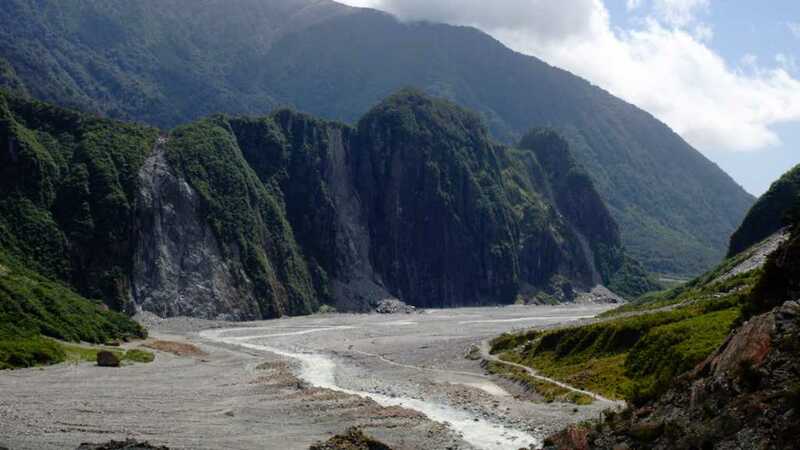 Huge ridge near Fox glacier. 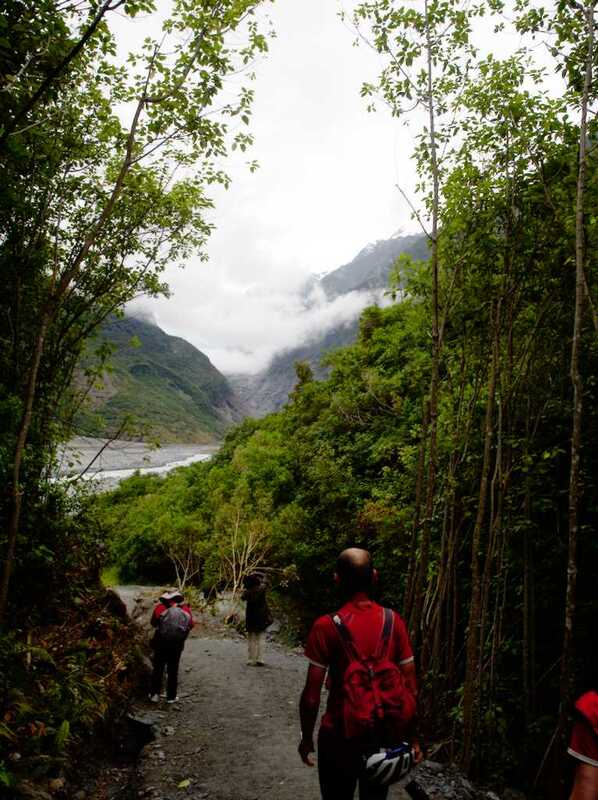 The walking track is the smaller line that runs roughly parallel to the river. 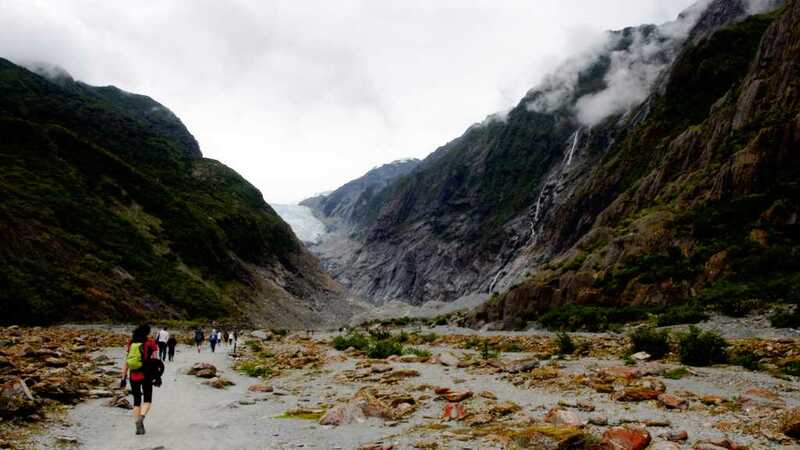 Fox glacier. There seems to be a lot more ice visible, but it too is receding. Pools of melt water. 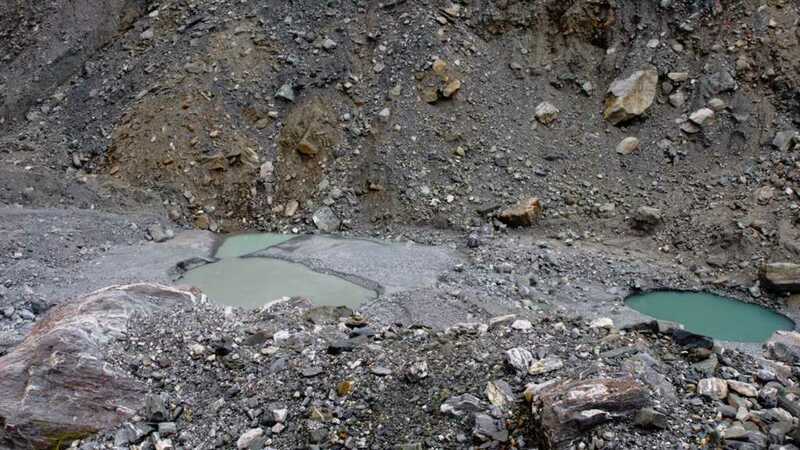 The colour is due to rock flour: a powder of crushed rock produced by the glacier grinding away the valley floor. 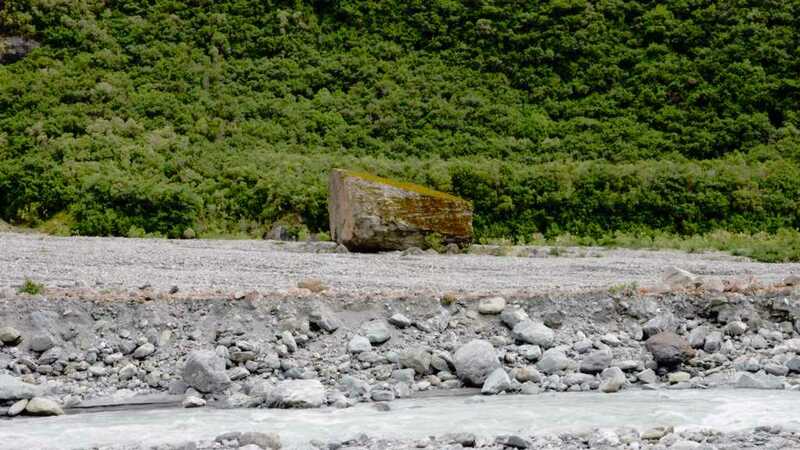 This is quite a large boulder, and seems to be a glacial erratic; a rock that was carried by the glacier until it was deposited in it’s current location. This was the stretch of coastline near Haast where the road became quite hilly for 10 km or so. Along the path we read an information panel about how the glacier is retreating. What this means is that over time, the end of the glacier (the point furthest downstream in the valley) is retreating higher up, further away from where we were. 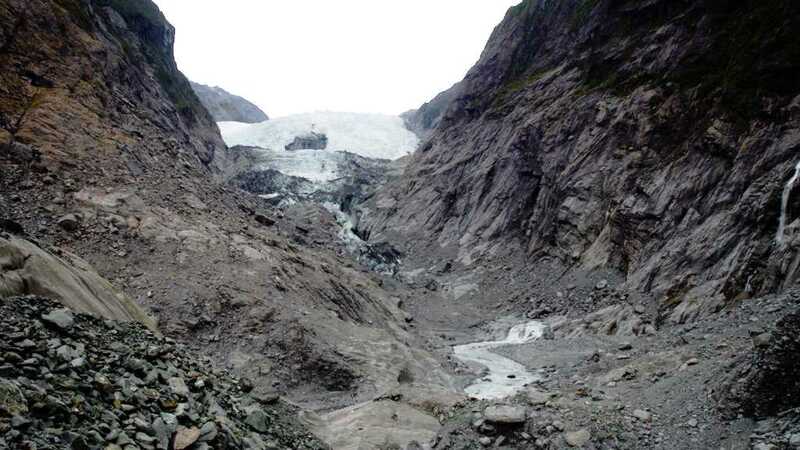 The mechanism is basically that the ice is melting and dropping off the end of the glacier faster than the glacier is flowing down the valley. It was quite noticeable too: the path climbed up a large hill of piled up boulders and rocks, and the viewing point was at the top. That hill was the terminal moraine until a few decades ago, which meant that the ice at the end of the glacier would once have been piled up on the other side (the moraine is debris that is dragged down by the movement of the glacier, and it gets piled up into a big hill at the end). Instead, the other side had a lot of empty space, the glacier itself visible a long way further up the valley. 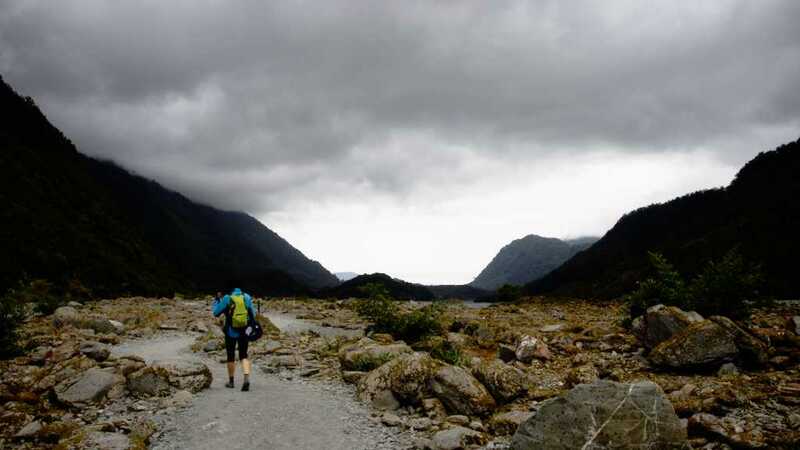 As we were walking back from the view point, the clouds got heavier and darker, and by the time we got back to where we had left our bikes in a Kea proof cage, it was raining quite steadily. I was glad I had brought all the wet weather gear, because I remained quite dry by virtue of being covered in plastic from head to toe. Having a picnic lunch outside suddenly didn’t seem terribly appealing, so we went to a doughnut bakery right near the backpackers. They did good food, but my Dad had an accident: he was trying to pull a chair out from the table, and somehow moved the wrong way and hurt his back. Apparently this had happened before when he and Mum traveled to Italy a few years ago. So ended our plans to cycle to Fox that afternoon. Vera came and met us at the bakery, and announced that she was going to go by bus to Fox. The only spa treatment she could get was in the afternoon, which would not leave enough time for her to ride to Fox. What with Dad’s back, in the end we all went by bus to Fox, and Dad also booked in for a massage in the hope that it would help. So while they went for their therapy, Mum and myself went to the hot pools. I was slightly hopeful that this would help with my sandfly bites, but it didn’t. The warm water was nice though. The road between Franz Josef and Fox was quite hilly (which we were aware of beforehand). There were three climbs, and the last one was quite steep, so it would have been a rigorous afternoons ride. I was reluctant to go by bus, but all of the others were, and I didn’t really feel like riding all on my own. 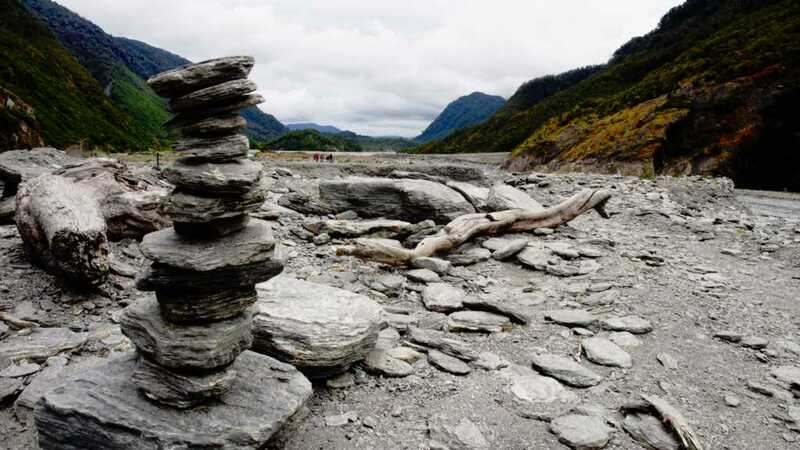 At Fox, my parents wanted to stay in accommodation because of Dad’s back, and as such, they booked a room in a lodge at the caravan park there (it was just about all that was available; we spent ages in the information center at Franz Josef). Personally though, I prefer sleeping in my own tent, that way I don’t have to put up with other people snoring. Given that the rain had stopped by that stage, there was no compelling reason not to camp. It did mean that I wanted to get up early to start packing up though, as it takes a lot longer to pack up a tent compared to staying in a cabin. The next morning I woke up at around 7 am. Shortly after I woke up, there was a funny sort of loud, low pitched humming noise, which steadily rose in pitch and volume. 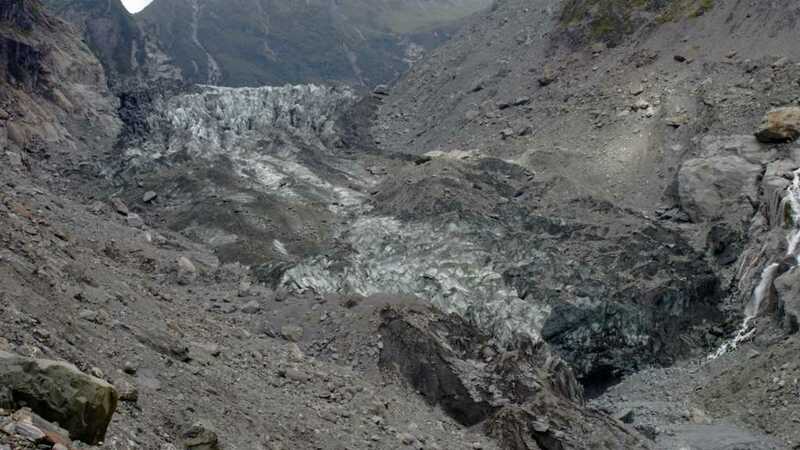 As this noise reached thunderous levels, it dawned on me that our caravan park was located right next door to one of the places that do helicopter flights to the glacier. They seem to be quite popular (and we sure knew it), because that is the only way that people can walk on the glacier; by getting airlifted onto it higher up where there aren’t as many hazards like crevasses. Anyway, I got up and started packing bags; took down my tent; got everything packed up on the bike, and went over to see how Vera and my parents were doing. They hadn’t packed up at all; they had decided to spend another day in Fox for Dad’s back to recover. 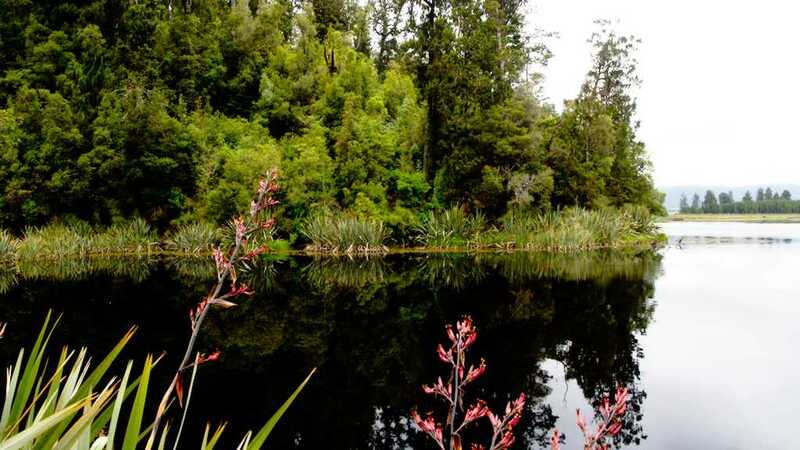 It turned out to be quite a good decision; we cycled down to Lake Matheson where there is a walk with famous views over Aoraki and Mt Tasman, often with reflections of the mountains in the surface of the lake, provided there isn’t much wind. When we were there, however, we couldn’t see the mountains at all, because they were hidden in the heavy clouds. It was a really nice walk around the lake though, and we did get photos of stunning reflections of the forest in the lake. 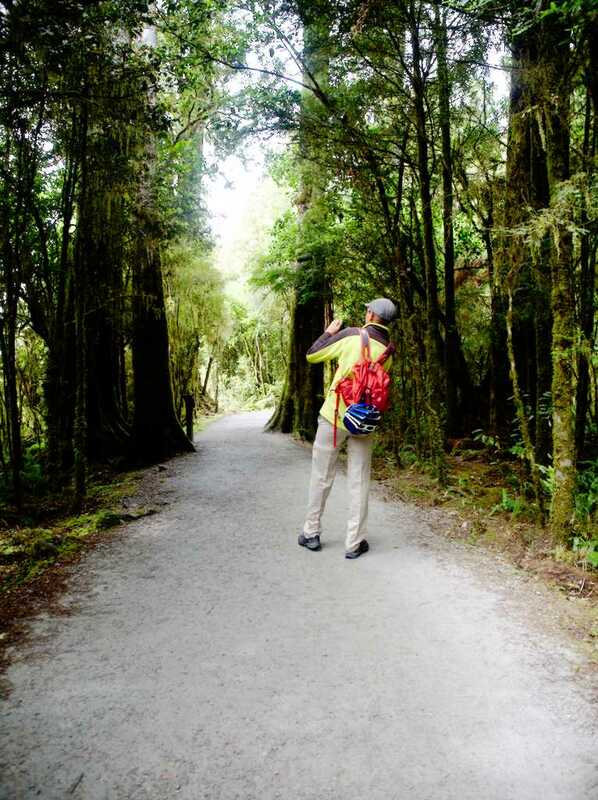 We also went out to Fox Glacier in the afternoon, and we managed to convince Vera to come on the walk too. Heading south from Fox, it’s really quite remote. There are no real shops where you can resupply with food anywhere between Fox and Haast, which is about 2 days worth of riding. We had a return to the warm dry weather as well, which was good; it was actually a bit warm riding. 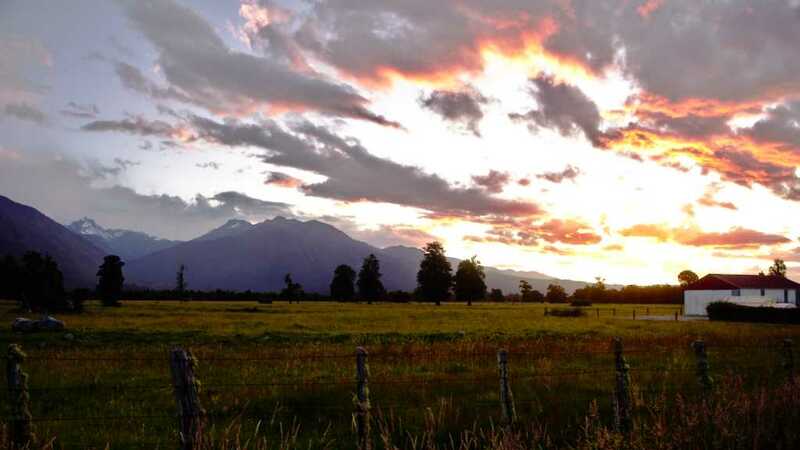 In the morning, we went to the general store in Fox to buy food to keep us going until Haast, and while my parents and me were sorting ourselves out, Vera rode off, proclaiming “you’ll catch me up”. We didn’t see her again for the rest of the day. Having said that, I can appreciate why she didn’t want to stop for a lengthy period of time for us to catch up; there were sandflies everywhere! Any time we stopped there would be hordes of them swarming around our ankles. When we stopped for lunch, I finally decided to bite the bullet and see if the insect repellent was actually any use. It certainly didn’t stop all of the buggers, but I think it did have some effect. When we finally got to Lake Paringa, our destination for the night, I was feeling thoroughly worn out, courtesy of the flu that I had caught earlier. My parents had decided to take a cabin, because of Dad’s back, and Vera joined them, but I wanted to camp given that it was perfect weather. Dad, who had sorted everything out with reception, pointed out a suitable area of grass overlooking the lake, and also conveniently close to their cabin, so I started unpacking stuff and setting up my tent. Anyway, a short while later, an old man (who was the owner) came up to me and said “excuse me, but your tent is visible from the windows of those cabins. Could you move somewhere a little more out of sight, so that other people don’t get bothered?” (ie I was spoiling their lake view). In case you’re wondering, the cabins were not particularly close; on the other side of a roadway. It came across as quite insulting. I had a good mind to stay right where I was, but I figured that getting myself kicked out might not go down that well with my parents and Vera, so I moved to where the decrepit old fart had indicated, half into the dense jungle. The internet is for revenge. So if you are ever looking for somewhere to stay around Lake Paringa, don’t go to the holiday park, the owner is a jerk. On top of the park manager and my flu, Lake Paringa was also crawling with sandflies. It was here that I really got my tent decontamination technique properly worked out, and it was actually quite easy to clear such a small space, especially before dusk had settled while I could see the insects silhouetted against the tent walls. It would have been different in a cabin; every time you open the door sandflies would get in and hang around, biding their time until you go to sleep giving them the opportunity to get their family raising agenda under way. 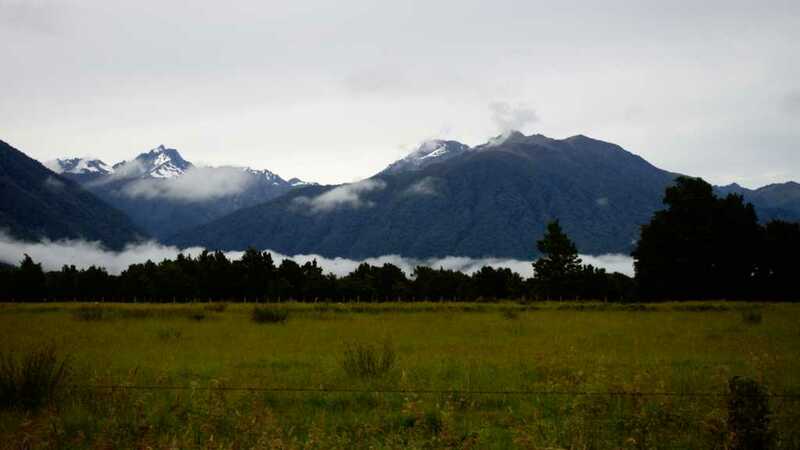 The following day we rode down to Haast, and we encountered the first section of hilly road for the entire trip (apart from the hills between Franz Josef and Fox, but we didn’t ride over them, so they don’t count). The road was basically running parallel to the coast, but going up and over fairly steep climbs to get over each ridge. The coastline here was described as “high craggy cliffs” on various information panels, which didn’t sound like a good sign to me. Vera had once again gone on ahead, but this time we actually did catch up to her at a lookout point near the top of the first big hill. She left there a long while before we did though, so we didn’t see her again until we got to Haast. We also met a number of other cyclists, mainly from Europe. My parents and myself had lunch at a picnic area that turned out to be the end of the hilly section of the road, a place called Ship Creek, so named because some time in the 19th century, wreckage was found there that belonged to a ship that sank off the coast of Victoria a few years earlier. 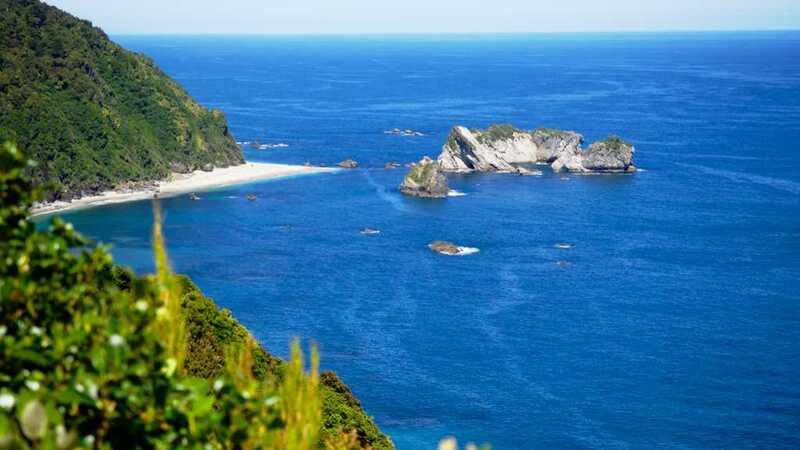 It had been swept to New Zealand by the ocean currents in the Tasman sea. Us and the sandflies had lunch there. Although the ride to Haast was quite flat from there, we did have a headwind, which makes a remarkable difference; panniers have a huge frontal area. Having the flu certainly didn’t help, and I was really tired by the time we finally got to the really long single lane bridge over the Haast river, despite it being a relatively short day. It was so, so nice to go and get a cup of coffee at a cafe slash bar (keep in mind that there is only one cafe between Fox and Haast, at a salmon farm; a long way between fixes in other words). The cafe/bar combination seemed to be a common thing in New Zealand, whereas in Australia, such places tend to specialise in one drug or the other; cafes don’t usually sell alcohol. After having camped next to an airfield at Fox, at Haast, we camped on the airfield itself, so to speak. The caravan park had been built on a former air field, judging by the kitchen and toilet complex, which was built in what was quite clearly an old aircraft hanger. Previous Previous post: Chapter 1: Wet coast?